Purchasing a pet turtle can be fun and exciting. Find out how to choose the right turtle for you, get tips on choosing a healthy turtle and learn where you can buy one when you're sure you're ready. While turtles can make great pets, they also take quite a bit of care. Some turtles are water turtles and others are land turtles. Here is some info about both types that will give you an idea about the kind of care they need. According to the World Chelonian Trust, water turtles, also called aquatic turtles, are a popular choice as pets. However, caring for the tank in which one lives can be quite involved. About half of a land turtle's diet comes from vegetation, but these turtles are omnivores so they eat things like worms and insects, along with fruits and vegetables. There are many places to purchase turtles of all kinds. The following lists give you an idea of what's out there. LoveToKnow does not endorse any seller or rescue, so throroughly check out any breeder or company you consider dealing with before you make a comittment. It's always preferable to examine a turtle in person before you decide whether or not to make a purchase, and you can usually do that locally. If you prefer to shop online, here are a few places to check out. You might also want to consider obtaining your pet through a turtle rescue organization. Turtles are long-lived pets that live 25 years or longer, and these rescue organizations take pets that are no longer wanted and help them find new homes. An adoption fee is usually required, but it helps the rescue keep operating. Turtles can get sick for a number of reasons. Many health problems are related to an improper diet and lack of sunlight. 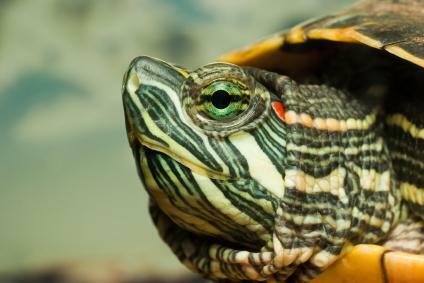 Turtles are also susceptible to respiratory problems caused by drafts. If you think your turtle is sick, find a vet that has experience working with turtles. If you don't know of one, contact the Humane Society to see if they can recommend a vet near you. 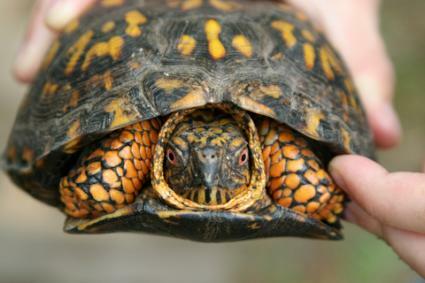 U.S. laws prohibit the sale of pet turtles with shells smaller than four inches. This is because salmonella is carried by turtles and can pose a potential health hazard for turtle owners. This risk for salmonella is especially dangerous for children and people with compromised immune systems. Always wash your hands after handing your turtle. The info and tips provided here will help first timers make the best choices they can as they go through the process of selecting and purchasing a pet turtle. Turtles do require quite a lot of care, so make sure you understand their needs and you're fully equipped to provide for them before you decide to bring one home.